2016 London Swine Conference Starts One Week From Today! 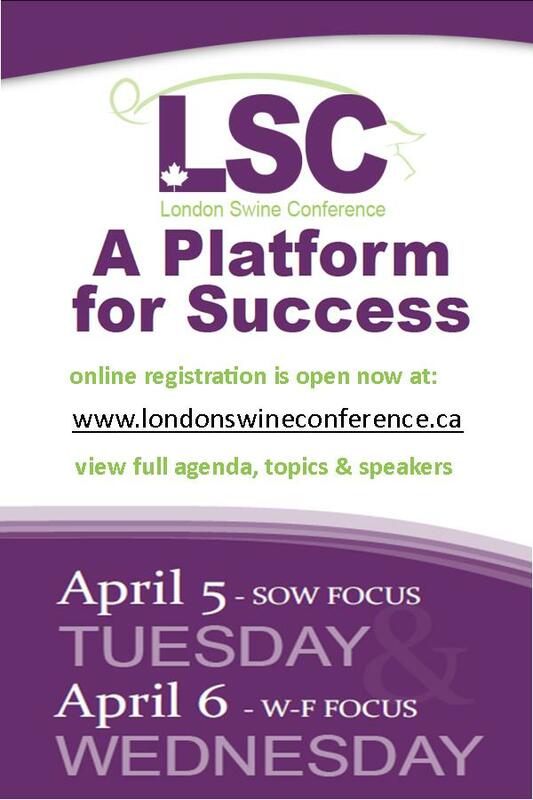 This year’s theme of the London Swine Conference is “A Platform for Success”. Join us April 5-6 at the Double Tree by Hilton in London, Ontario. New Spring = New Season. Make it More Sustainable. Sustainability is a holistic, long-term approach to business. It maximizes the economic and environmental stability, equity, and health of the farm, business, and family. A sustainable approach to farming is more than talking about environmental actions or maximizing profits. Sustainability focusses on business processes and practices, rather than a specific food, fibre, or feed output. It integrates economic, environmental and societal values to create a Triple Bottom Line (i.e. understanding and accounting for three “bottom lines”: economic, social, and enviornment, instead of simply looking at a cash flow analysis for actions in your operations). This is very different from a purely profit-driven approach, where businesses benefit economically, but often at the expense of the environment and society. Read full article at ONagbusiness New Spring = New Season. Make it More Sustainable. Long term, farming depends on meeting today’s needs without compromising the ability of future generations to meet their own needs. The three components of social responsibility are environmental stewardship, community involvement and industry involvement. OMAFRA has resources that address each of these topics including Introduction to Sustainable Agriculture and Social Responsibility Resources. 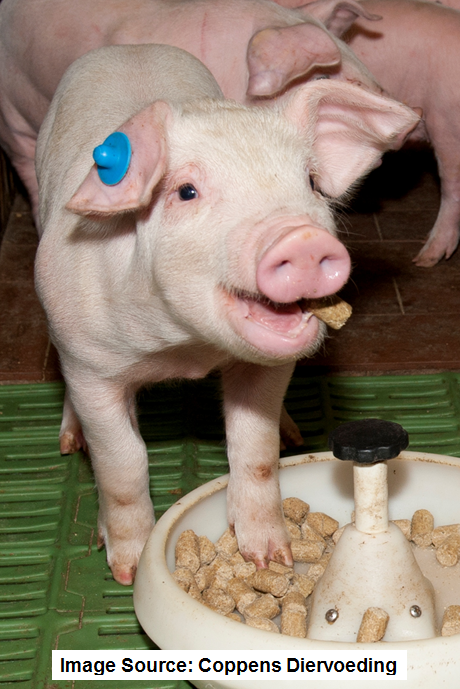 Do you know what to do in the event of a farm emergency? The Ontario Office of the Fire Marshal and Emergency Management estimates that barn fires cost Ontario farmers more than $25 million per year (2012-2014 average). Do you know what to do in the event of a farm emergency? Do you know what to do if you have deadstock to manage? Barn fires, natural disasters, equipment failures and diseases are devastating events for farmers, their families and workers, and the neighbouring community. Planning ahead to reduce risks, and preventing accidents with a safe operation will help to protect employees, family members and animals. Emergency events can cause substantial loss to a farm operation and create unique challenges for farmers, including disposing of large volumes of deadstock. The Ontario Ministry of Agriculture, Food and Rural Affairs (OMAFRA) has a regulation that gives you options for deadstock management. These options help to protect water quality, reduce environmental impacts and minimize biosecurity hazards, such as scavenging. Collection of deadstock by a licensed collector is recognized as the most effective and sustainable disposal method. In emergency situations, you can apply to OMAFRA for an Emergency Authorization for the storage, disposal or transportation of deadstock. These authorizations can be used when emergency conditions exist that make it difficult for you to dispose of deadstock according to the regulation. Planning ahead can help alleviate some of the stress during an emergency. 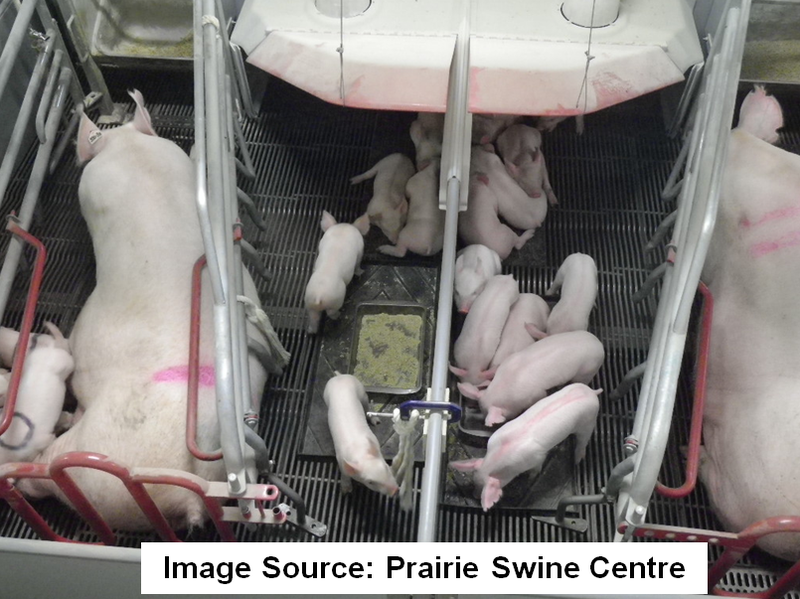 Our web page found at ontario.ca/farmsafety has useful resources for farm owners, including information on preventative maintenance for farm buildings and our book, “Reducing the Risk of Fire on Your Farm”. We encourage you to develop a contingency plan for emergency situations. Visit ontario.ca/deadstock for information on contingency deadstock planning and the regulation. For help with managing deadstock in an emergency situation, you can contact an OMAFRA environmental specialist or engineer in your region, or the Agricultural Information Contact Centre at 1-877-424-1300 or ag.info.omafra@ontario.ca.